A wide range of blocks to build from, beautifully hand crafted by our artists with careful consideration in style, tone, and shape. 256 block build height is so last decade. Create immense towers or huge castles with over 1024 block build heights. 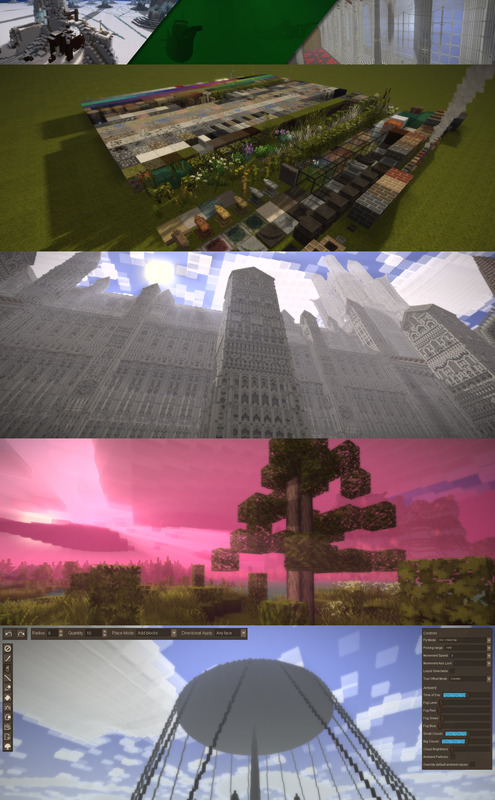 To put your builds in the best possible light, the game ships with built-in shaders and plenty of configuration options.